Vickie Tencer oversees the operations of the Research Office for the School of Nursing. She assists faculty in all phases of proposal preparation and submission as well as award establishment. She maintains the research office database, reviews the Research Office monthly financials, and provides faculty with monthly reports on their respective financial awards. Ms. Tencer also trains, supervises, directs and evaluates the activities of the Graduate Research Assistants. She oversees the preparation and production of the school’s Research Newsletter. Tariq Al-Dwaikat is a nursing PhD candidate expecting to graduate in Fall 2017. His research interests are studying the social determinants of the outcomes of diabetes. Tariq creates posters for presentations, performs literature searchs, assists faculty with data collection and interviewing, enters data using SPSS and Excel, analyzes statistical data, and assists in IRB submissions. I am a third year student in the BSN-PhD Program, currently studying health literacy, acculturation, and childhood obesity in Latino immigrant populations, with an expected graduation date of Spring 2018. I am fluent in Spanish and have extensive experience with data collection, research participant interviews, IRB submission, data entry, and poster design. Adam Booth is a PhD candidate in the BSN - PhD program, expecting to graduate Spring 2018. His research interests are moral distress among ICU nurses and families of dying patients. Adam assists with literature reviews, data entry, manuscript formatting, and is the Editor-in-Chief of the Newsletter. 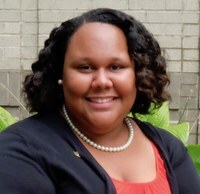 Jade Montanez Chatman is a PhD student and Graduate Research Assistant at the University of Louisville School of Nursing, who expects to graduate in May 2020. Her research interests include social determinants of health and nursing education. More specifically, her work examines barriers and facilitators to admission, retention, and graduation from post-secondary schools of nursing for minority nursing students. Jade has experience in assisting with literature review, IRB submission, data collection and entry, and poster design. John Luttrell is a student in the BSN-PhD program expecting to graduate in spring 2019. His research areas of interest are currently undecided, but he is interested in patient education, traumatic brain injury, and end of life decision-making. John currently assists with data entry and literature searches, but is interested in assisting with and gaining experience with applied statistics. My expected graduation date is Spring 2019. Areas of interest are: cardiac rehabilitation, self-efficacy, secondary prevention of cardiovascular disease, and affordable healthcare. GRA experience is: data entry and poster design.